Welcome to the Leeds Protein Production Facility (PPF), a core research facility within the Faculty of Biological Sciences. 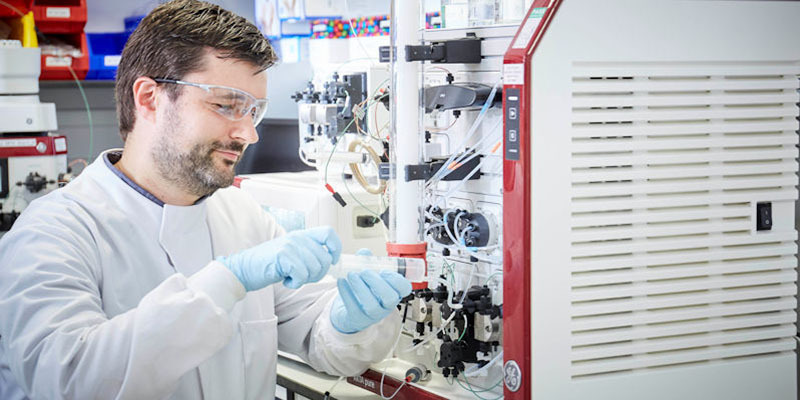 Established in 2017, we have a range of state-of-the-art equipment for producing recombinant DNA and recombinant protein, including high-throughput cloning and large-scale purification from bacteria, insect and mammalian cells. Our facilities are available to researchers from across the University, as well as external users from academia and industry. We can produce recombinant proteins for any downstream application, such as cellular, biochemical, biophysical or structural studies. We will also help to design your project and can tailor our workflow to match your scientific needs.